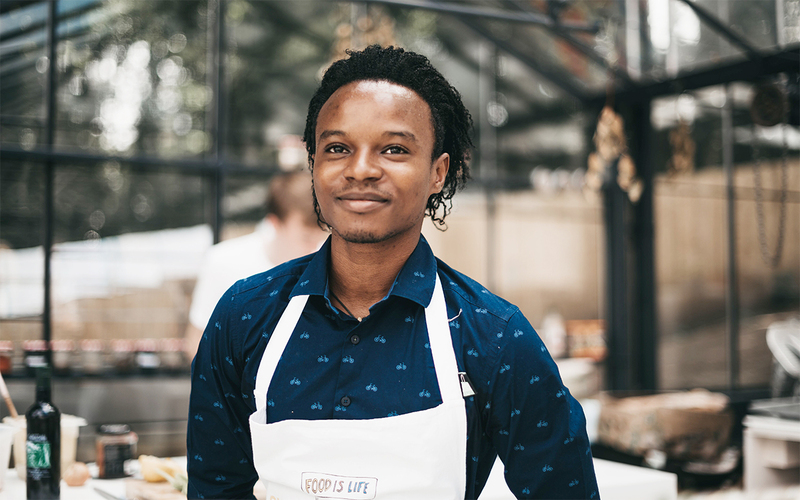 Michael Elegbede is forward thinking Chef of Nigerian descent. He started his journey in the kitchen at a very young age, serving apprenticeships to family’s establishments, and other culinary masters in the field. In the United States his skills became refined working at restaurants across the country, including the critically acclaimed Eleven Madison Park Restaurant in New York. In this interview he gives some insight on what inspires his creative approach, and intentions of raising the profile of the Nigerian gastronomy industry. Tell us about your culinary background and your path into the field of gastronomy? Cooking was a fundamental part of my upbringing. I grew up with a mother and grandmother who were both professionally trained as chefs. Needless to say, whether I liked it or not, I often found myself in the kitchen. Fast forward to university years in Chicago. I started working at a bakery as a part-time gig and discovered my desire to cook had brewed a passion that needed fortifying. I then moved to Napa Valley, California where I spent years at The Culinary Institute of America learning and practicing the intricacies of the craft and of course wine. Wanting to learn from the best, I made another cross-country move to New York and worked under the tutelage of Chef Daniel Humm of Eleven Madison Park and Nomad Restaurant. I am now back in Nigeria exploring our cuisines and telling our story to both national and global audiences with a creative interpretation. What is your first memory of cooking and do you have any family heirlooms like Italian cuisines? If not what do you think of the concept for Nigerian food. One of my earliest memories of cooking was in my grandmother’s compound. 5 years old, younger brother and I became bored. After watching the adults cook an enormous feast for a ceremony happening later in the day, we were inspired to cook as well. We definitely have family heirlooms. They are reminders of where we came from and a tool to tell stories of our practices and people that came ahead. Taking from a pile firewood meant for the bigger feast, we made our own fire, procured a small pot from the kitchen, and started collecting miscellaneous scraps of produce. We threw them all into the pot, and added a bit of every spice we found in the kitchen cabinet. Grandma eventually caught us and scolded us for playing with fire and wasting food, but after this ordeal, she started allowing me to cook with her in the kitchen. We definitely have family heirlooms. They are reminders of where we came from and a tool to tell stories of our practices and people that came ahead. One of my favorite heirlooms is a granite stone grinder that has been passed down for generations on my mother’s side. It was used to blend peppers, crush spices, seeds, and even sun-dried crayfish before the advent of the electric blender. The thinning seasoned slope in its center has been hollowed out by generations of great cooks practicing the same labor of love. Observing the rising despondency of political movements in Nigeria and some places in West Africa, as a visionary chef are you more critical about your own practice or more optimistic now given the trajectory of your country’s leadership and how it manages the perception of its gastronomy industry? Unfortunately, gastronomy is not a topic of discussion in Nigerian political sectors. I believe a sustainable food system with vibrant gastronomy culture is the core of a successful society. To be critical of my own practice as a Nigerian chef comes with an awareness and a responsibility to raise Nigeria’s standards and help manage the perception of our this industry. I hope to accomplish this with my experience in food design, a study that encourages understanding and promotion of food culture by improving our relationship to food and facilitating comradery in multifaceted sectors such as technology, academics, product design, agriculture, data collection to work together for a more sustainable food system. Lagos Nigeria is not known as a quiet place for the most part. In your quiet or noisy moments, how do you get inspired? What makes you be of service and cook the way you do. Do you seek religion or get spiritual like many others in your country? Indeed, Lagos is renowned for its eccentric personality. I, however, find this to be a great source of inspiration. Since I use only fresh produce local to Nigeria, I’m often at the market sourcing the best ingredients and discovering something new in season. The market is often bursting with life and ironically laced with a constant awareness of death in the form of butchers slaughtering, hanging, smoking, chopping different types of grazing animals and poultry or the smell of freshly smoked fish welcomes you as you move closer to the seafood area. One thing that never ceases to amaze me is the vibrant spectra of colors I encounter walking into the produce part of the market. Yes, with all this comes the push and shove, yells, and occasional grabbing by the traders as I try to patronize their stands. One thing that never ceases to amaze me is the vibrant spectra of colors I encounter walking into the produce part of the market. Yes, with all this comes the push and shove, yells, and occasional grabbing by the traders as I try to patronize their stands. Accepting all the bits of our culture allows me to create from where I believe to be a more genuine place. There are many layers to how I choose to be inspired by Nigerian cuisine, culture, and tradition in the way I express my craft. 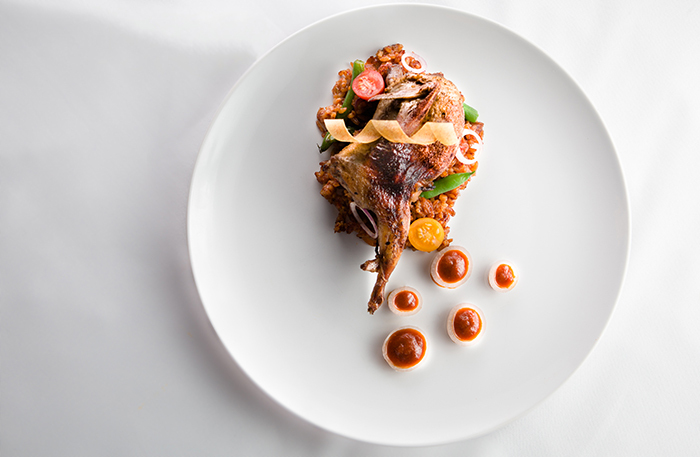 At the core is simply a nostalgic love for the flavors that are uniquely identifiable to Nigerian food. Another is being aware of the lack of representation in the storytellers of cuisines around Africa that I believe is perpetuating misconceptions of what it means to experience our food. With regards to faith, spirituality, and religion,I find my truth in spirituality, not religion. Knowing I’m merely a dot in a colossal mural is incredibly humbling but also empowering, as I know I am still a part of that mural. Hiking in the wilderness and being close to the seemingly unadulterated nature makes me feel close to God. While traveling across Nigeria, exploring the indigenous cuisine of each region, I also visited sacred grounds, caves, rivers, coastal lines, and hiked the foothills from Cross River Nigeria to the borders of Cameroon, in these moments I felt closest to God. At this stage of your enterprise and collective accomplishments, considering your present commitments If you can work alongside any personality or company. Who would it be and why? 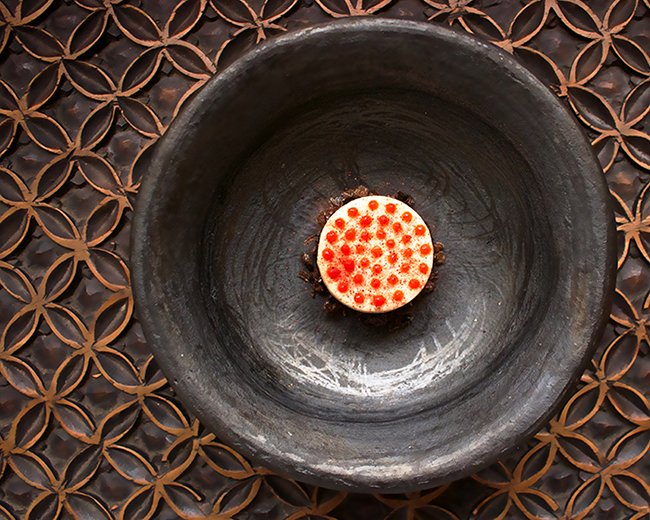 It would be incredibly amazing to work and collaborate with amazing chefs such as Alex Atala, Masimo Botura, Gaggan Anand and Nadia Santini who have used their craft to change the world’s understanding and perceptions of their local cuisine. Their resilience in expressing their respective cuisines constantly motivates and influences my journey and ambitions for what I am doing with Nigerian cuisine. Food is a kind of a Visual Collaborative art form, do you have any relationships to the arts industry? I believe food is the most intimate form of art; it can be experienced with all of our senses. From the choice of flatware or lack thereof to the plating, lighting, storytelling, graduation of courses and the orchestration of it all, my approach in expressing food tends to be visually- propelled and experiential. Like an ephemeral installation, it must be consumed to be understood. This has allowed for seamless and many times magical collaborations with people in the art industry. 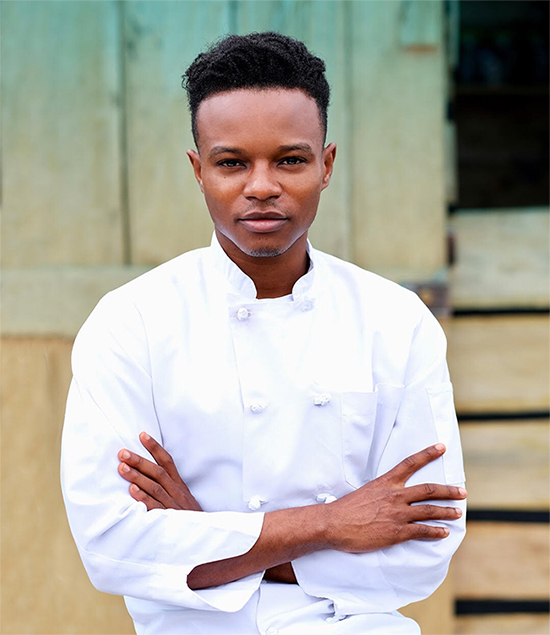 What kind of innovative cuisine concepts can Nigeria and the world expect from Michael Elegbede within the next 5 years? A restaurant! One that plans to set standards of what could become the paradigm for culinary art not only in Nigeria but Africa as a whole bringing elements to a dish/meal that transcends eating for the sake of sustenance a place that can also play an immense role in the development of Nigeria’s gastronomy culture and facilitates sustainability in our food system. More on Michael Elegbede can be found on michaelelegbede.com.